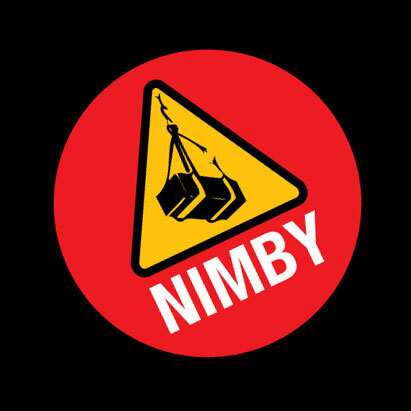 Located in East Oakland, NIMBY is readily accessible via car (off the 880 freeway), a 1/2 mile from the BART (Coliseum Station stop), bike and feet (new sidewalks coming soon. Thanks, Oakland). Amtrak train and Oakland Airport aren't too far off either. Sorry, the helicopter pad is still just a dream at the moment. Come down for a visit!